2018 JANUARY 29 -We are hiring Mechanic. 2017 NOVEMBER 19 - Malaysia Cub Prix 2017 Final Round Johor, Pengerang Johor Bahru. 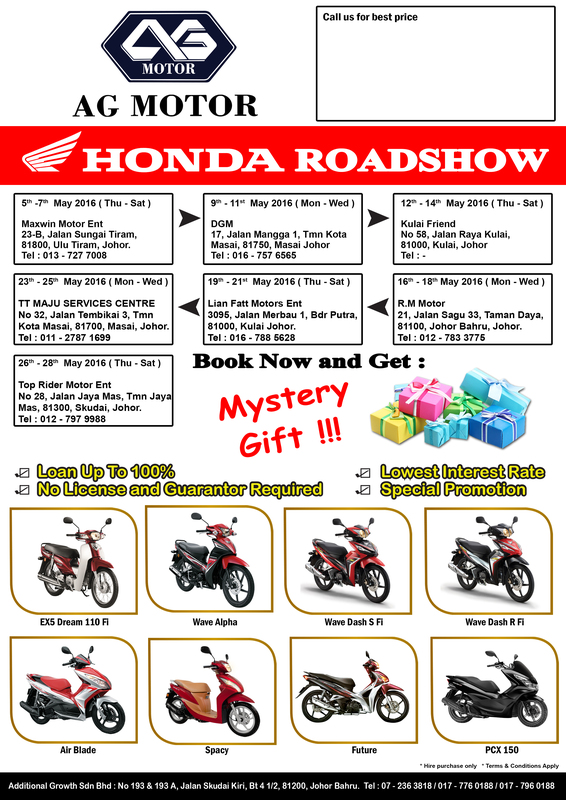 2016 April 20 Honda 150cc Open for booking ! 2014 April - Congratulations to our staffs ! 2014 - Permas Jaya outlet will moving!